Beautify your home with custom Window Treatments! Serving Jamestown, NY and the surrounding area, Moran's Floor Store offers Hunter Douglas shades, blinds, shutters, and sheers, including customer favorites such as Duette® Honeycomb Shades, Silhouette® Window Shadings, and Luminette® Privacy Sheers. 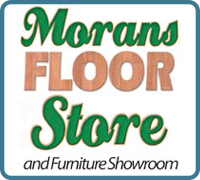 Moran's Floor Store serves both Western NY and Northwestern PA, and is locally owned and operated. We offer a complete line of floor-coverings for both residential homes and commercial applications for all types of businesses. Our selections include carpet, ceramic tile, hardwood flooring, vinyl flooring, laminate flooring as well as many others. The owners have over 35 years of experience in the floorcovering business. As a part of our flooring service we offer free in home measuring for your rooms as well as installation on anything we carry.